Still, experts say most folks know painfully little about how their stomach and their digestive tract operates — one reason that solving tummy troubles can seem much harder than it has to be. “There are some very popular misconceptions concerning stomach health, most of which can really lead people astray on how to effectively deal with certain problems,” says Mark Moyad, MD, director of preventive and alternative medicine at the University of Michigan Medical Center in Ann Arbor. Gastroenterologist David Greenwald, MD, agrees. “Sometimes what seems like a complex, difficult or even frightening problem really is a simple one, with a simple solution, if you can separate the myths from the facts,” says Greenwald, an associate professor at the Albert Einstein College of Medicine and Montefiore Medical Center in New York City. Answer: Myth. The major part of the digestive process takes place in the small intestine. The stomach takes in the food, then churns it and breaks it into tiny particles called “chyme.” The chyme are then released in small batches into the small intestine, where most digestion occurs, he says. Contrary to popular belief, Levy says, foods do not digest in the order they are eaten. “Everything lands in the stomach where it’s all churned together, and when it’s ready it’s released into the small intestines together,” he says. 2. Myth or Fact: If you cut down on your food intake, you’ll eventually shrink your stomach so you won’t be as hungry. Answer: Myth. Once you are an adult, your stomach pretty much remains the same size — unless you have surgery to intentionally make it smaller. Eating less won’t shrink your stomach, says Moyad, but it can help to reset your “appetite thermostat” so you won’t feel as hungry, and it may be easier to stick with your eating plan. Answer: Myth. While it may seem hard to believe, the size of the stomach does not correlate with weight or weight control. People who are naturally thin can have the same size or even larger stomachs than people who battle their weight throughout a lifetime. “Weight has nothing to do with the size of the stomach. In fact, even people who have had stomach-reducing surgeries, making their tummy no larger than a walnut, can override the small size and still gain weight,” says Levy. Answer: Myth. “No exercise can change the size of an organ, but it can help burn the layers of fat that can accumulate on the outside of your body. Plus it can help tighten the muscles in the abdomen, the area of the body lying just south of the diaphragm, that houses the stomach and many other internal organs,” says Moyad. “People who are very overweight often have a lot of fat between their organs internally. In fact, in some instances, the liver can become so packed with fat you can develop a form of hepatitis, and in extreme cases, it can stop functioning altogether,” says Levy. The good news: A healthy eating plan can not only help you shed the weight you can see, but also the internal fat layers you don’t see. Answer: Fact. According to Moyad, most folks are astounded to discover that what they perceived as a “gentler” form of fiber — the soluble kind found in foods like oat bran, beans, peas, and citrus fruits — can actually cause more gas and bloating than insoluble fiber, found in foods like whole-wheat bread, wheat cereals, cabbage, beets, and carrots. “It is true,” says Moyad. 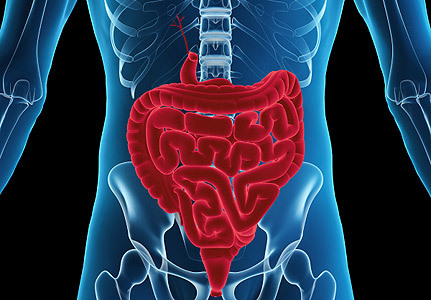 “And the reason is that gas and bloating result from intestinal flora that is needed to digest soluble fiber.” Since insoluble fiber is not digested at all — it goes right through you — there is no interaction with intestinal flora; consequently, no gas is formed. One caveat to keep in mind: While insoluble fiber won’t give you gas, it can increase the frequency and size of bowel movements. Answer: Fact. “The less acid that flows back up into your esophagus, the fewer problems you will have clearing it. And believe it or not, losing just 2 pounds of weight from the abdominal area can make a difference — and pregnancy is about the best example of this,” says Moyad. As the baby grows and pushes against the internal organs, heartburn increases; but once the baby is born and the pressure is relieved, the heartburn is, too. “In much the same way, losing even a little bit of belly fat can provide similar relief. Answer: Myth. Most experts agree that we gain weight when we take in more calories than we burn up. And while it seems logical that foods we eat during an active day will burn more quickly and more efficiently than foods we eat right before going to sleep, Moyad says weight gain is not based on a 24-hour clock. “It’s the total amount you take in over a period of time compared to how much you burn that determines if you will gain weight,” says Moyad. Recent animal studies suggest that avoiding after-dinner snacks may help prevent weight gain. Eating at night may disrupt the body’s circadian clock and alter hormones that control appetite and ultimately result in weight gain. That said, Levy reminds us that when we are fatigued or stressed, eating right before bedtime can make digestion more difficult and may cause more gas, bloating, and heartburn. “There is a ‘brain’ in the gut that helps to make sure that food is moved through the digestive system at the right pace, in the right amount,” says Levy. When we are fatigued — like most of us are at the end of a busy day — that ‘gut brain’ is fatigued as well. So, says Levy, there is a decrease in the number of contractions that move food through the system. 8. Myth or Fact: A 200-calorie snack of peanut butter and crackers is more likely to control your appetite than just eating 200 calories’ worth of crackers. Answer: Fact. The reason: “Fats digest much slower than carbohydrates, and they remain in the stomach longer, which means we naturally feel full longer after eating a snack that contains at least some fat,” says Levy. Additionally, Moyad points out that simple carbohydrates (like crackers, bread, or cookies) elicit a quick rise in blood sugar and insulin levels, which subsequently drop just as quickly, causing dramatic shifts in both mood and appetite. “In short, you find yourself edgy and hungry,” says Moyad. 9. Myth or Fact: Beans cause everyone to make excess gas, and there’s nothing you can do about it. Answer: Myth … sort of! Beans are high in a kind of sugar that requires a certain enzyme to properly digest. “Some people have more if it, some people less. And the less you have, the more gas that will be produced during digestion of beans,” says Greenwald. What can help: Studies show that over-the-counter products that add moreof the enzyme needed to break down the sugar in beans as well as other traditionally gassy vegetables can help if taken before you eat. After the fact, you can reduce the gas that forms by taking a product containing simethicone, which, says Greenwald, is a true bubble buster, releasing the surface tension on gas bubbles that form as a result of eating foods that are hard to digest.